The stars at night are big and bright, deep in . . . New Zealand? Editor’s note: This blog is one of a series of travelogues by HMNS VP of Astronomy Carolyn Sumners, sent from the two-week solar eclipse viewing trip she led to the South Pacific. Astrophotography by Gary Young. The stars of the southern hemisphere are fantastic, with the brilliant Milky Way stretching from near the hunter, Orion, in the North to Crux, the Southern Cross, in the South. 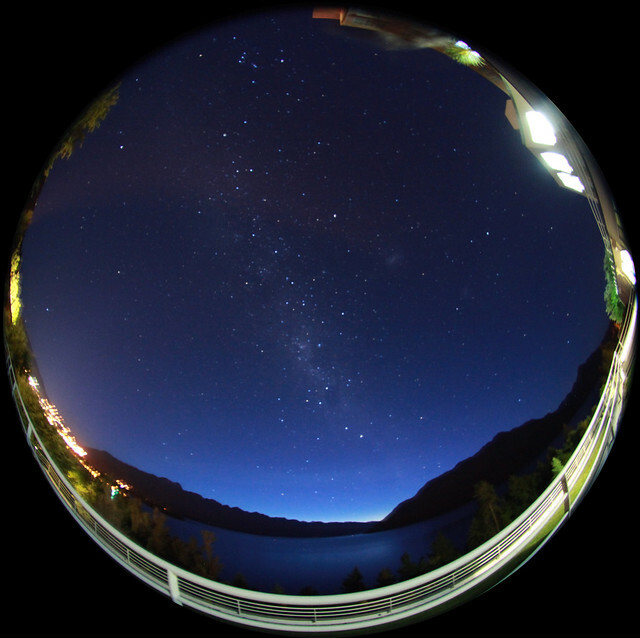 This predawn image is a time exposure with a Canon Mark II camera and a fisheye lens, taken from our hotel lawn in Queenstown, New Zealand, looking out over Lake Wakatipu. Even with some glare from the hotel and from Queenstown to the East, the predawn sky is remarkably dark. This exposure approximates what we could see as we faced south. New Zealand has a total population less than 5 million, which guarantees much less light pollution, even close to a city. Also, the southern Milky Way is much richer and more easily seen than the Milky Way near the North Star. 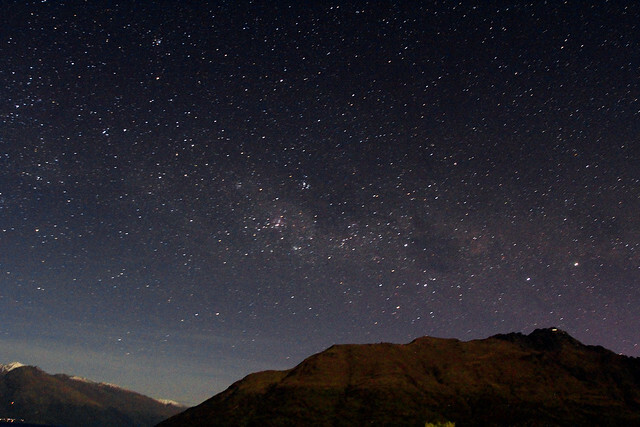 In New Zealand, we trade views of the Big and Little Bears for the Southern Cross and the nebulae around it. 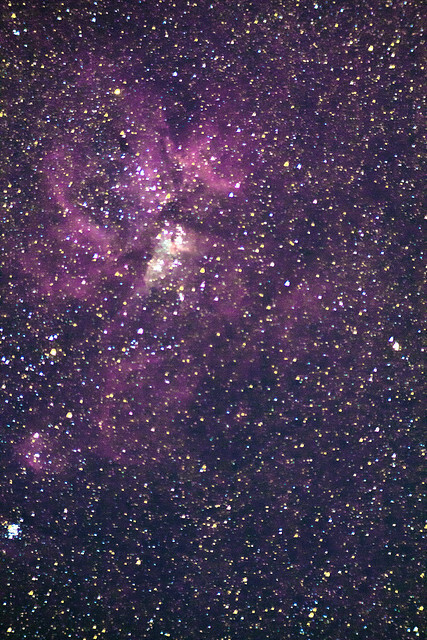 This image is a close-up of the southern Milky Way in the early evening as we started stargazing. Notice the dark areas in the Milky Way. The Inca saw animals in these dark dust clouds. While observing through two telescopes, we placed our third telescope, a Takahashi FS60Q, on a small portable Sky Patrol equatorial mount that would track the stars — adjusting for the Earth’s rotation. We were able to do time exposures of up to a minute without guidance and we captured incredible views of the Orion Nebula, the Omega Centauri globular cluster, the Large and Small Magellanic Clouds and the Carina Nebula. Through a telescope we saw the shapes of these clouds and clusters, but not the rich colors and textures captured in these images. The Orion Nebula is a stellar birth cloud with new stars still forming from the gas and dust. The Carina region has young stars and the dying supergiant Eta Carinae. Omega Centauri is the brightest globular cluster in Earth skies with 5 million stars. 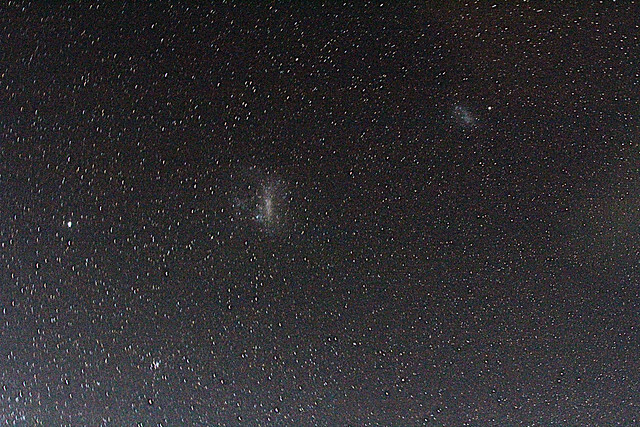 The Large and Small Magellanic Clouds are satellite galaxies of our Milky Way galaxy. 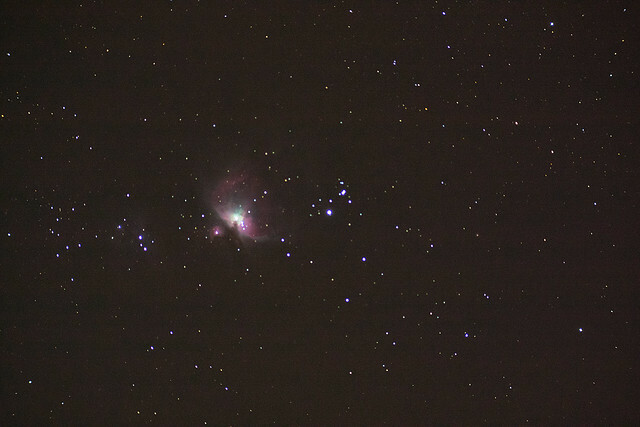 We can see the Orion Nebula easily from Houston. The other magnificent objects are best seen from below Earth’s equator. It’s a wonderful sky down under. Carolyn is VP of astronomy for the Museum; she develops Planetarium shows for the Museum that tour all over the world, developed the very first Challenger Learning Center and runs the Museum’s George Observatory in Brazos Bend State Park. In her spare time, she does research in the field of archaeoastronomy, which attempts to replicate the night sky at critical moments in history.